Comparing the bathrooms of the past to the bathrooms of today’s world, we can easily see that they’ve come a long way. Just think about it, at one point in time, it was just a basic tub that was set in front of the living room fire – people used buckets of water to fill it up. That sounds pretty stone-age, don’t you think? People of today’s world may find this hard to believe, but that is how it was – taking a bath was a task. Now, thankfully, the bathing experience is luxurious in almost every western home. 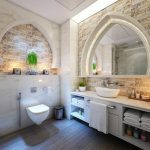 While in the old days, a “bathroom” like we know today, was something you would only find in a wealthy household – this is the trend that started it all … a trend we are very thankful for. Today, the Victorian and Edwardian styles are a popular choice. They look amazing in a cottage or villa bathroom and will never lose their appeal when it comes to the design. 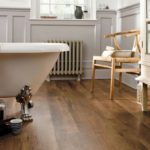 However, while these two styles are a popular choice, this doesn’t mean they are the only styles available – there are many bathroom decoration ideas out there. Thanks to the modern technology and advanced plumbing, the bathroom has evolved. They now have luxurious steam rooms and nice hydrotherapy baths – people from the past would find these bathrooms hard to believe. In terms of design trends, the bathroom, like most rooms in the house, is ever changing. 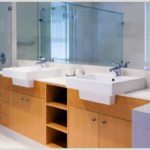 Here, we are going to take a look at 25 of the most popular styles in terms of bathroom designs. 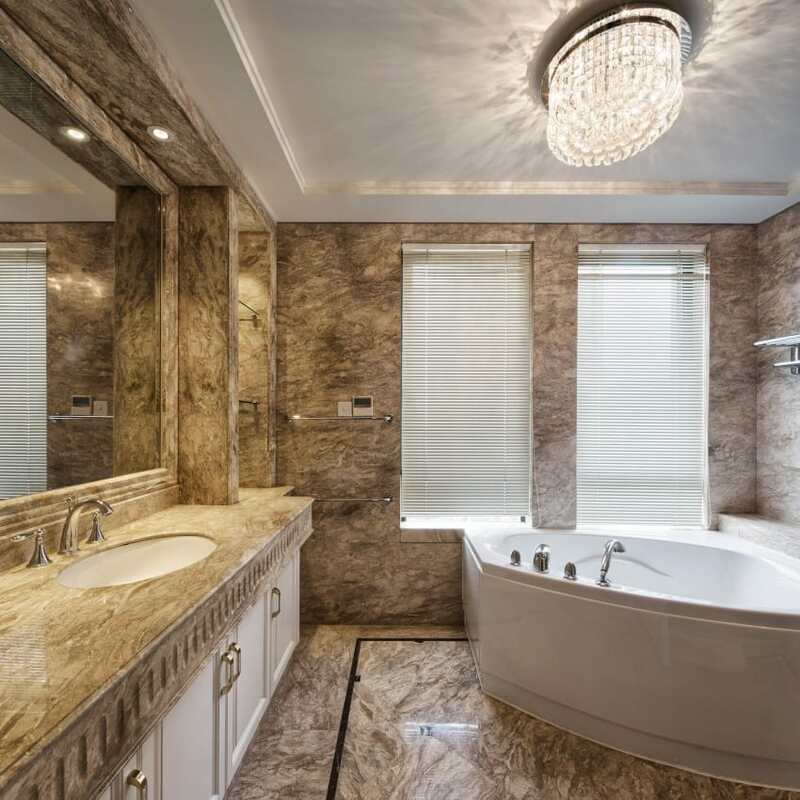 Everything from the floor tiles to the granite countertops screams “luxury” in this bathroom. This bathroom is spacious with just the right amount of lighting. With the bathtub placed in front of the window (no one can see in), you will be able to relax in natural lighting. This is a modern bathroom that has a nice sleek design to it. 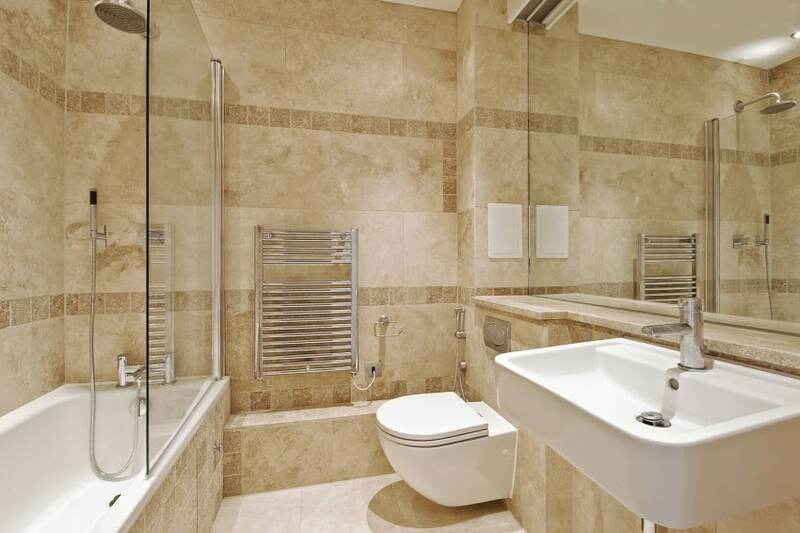 This is the type of bathroom you would expect to find in an executive suite. 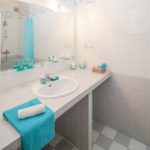 The light colored walls make the dark floor tile and white sinks stand out. This bathroom has just the right lighting, making for the perfect setting. The bathtub can also be used as a Jacuzzi for a relaxing bath massage. This is an all around luxurious bathroom. 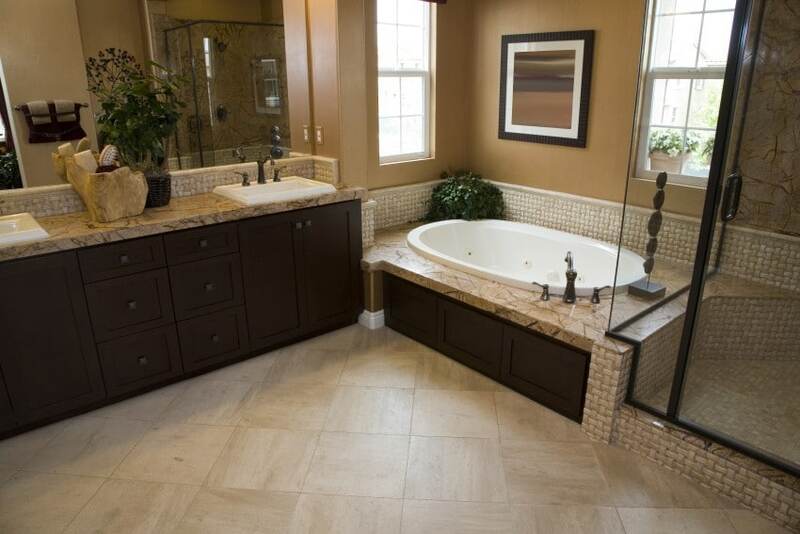 Everything from the granite countertops to the light colored floors makes for the perfect bathroom to relax in. The bathroom contains both a tub and a shower. The shower has sliding glass doors and a nice rainfall showerhead. 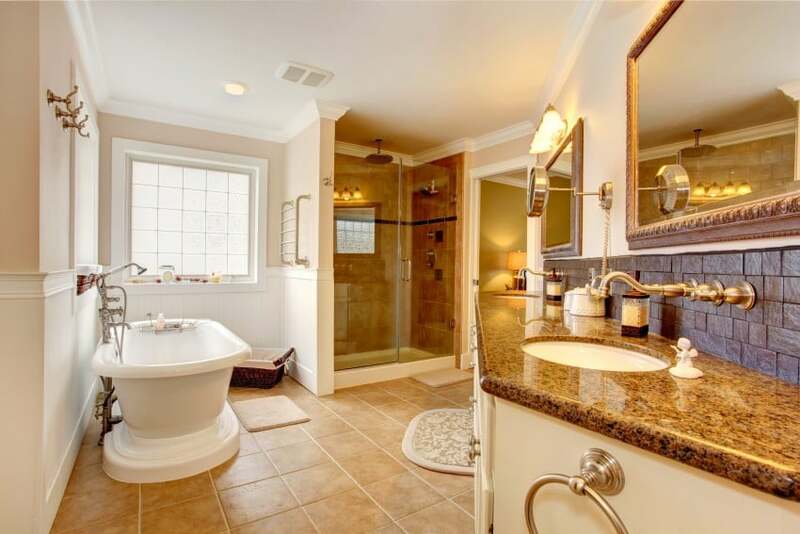 This is a beautiful bathroom with granite countertops. Everything about this bathroom is relaxing. The five windows let in just the right amount of light. 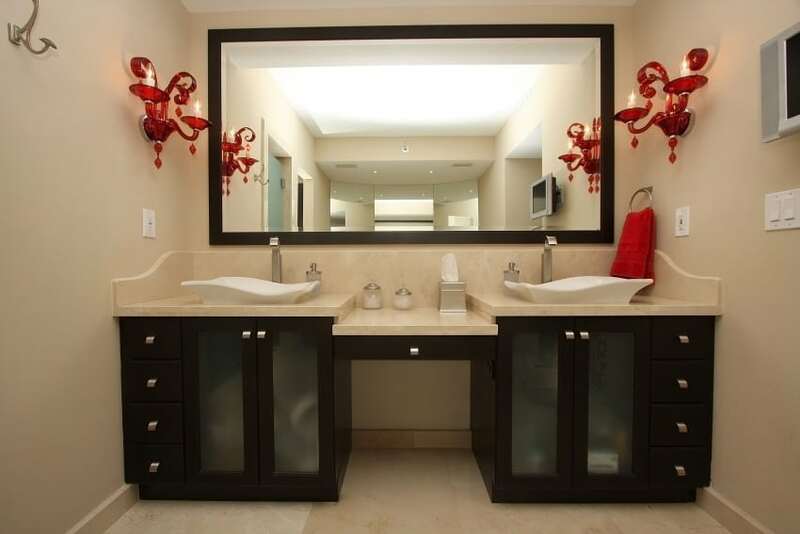 The long counter with two mirrors and two sinks makes for the perfect his and her bathroom. 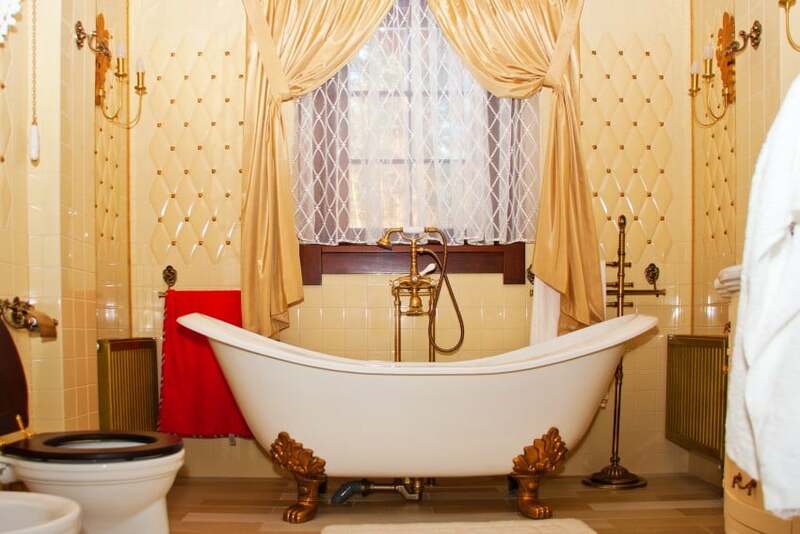 This bathroom looks like it comes from the old ages, but that doesn’t mean it isn’t nice to relax in. It is super clean and has a nice claw foot tub with lighting on both ends. The eloquent curtain above the bathtubs adds a nice appearance. This designer bathroom is sleek and beautiful. 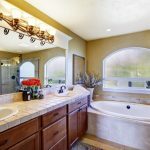 The granite tops around the tub is a perfect place to set candles so that you can relax as you soak in a nice bubble bath. The two sinks with two mirrors makes it a great bathroom for a couple. With the cabinets under the sink, there is extra storage space as well. Everything from the flooring to the walls screams out “luxury” when it comes to this bathroom. The vanity area next to the sink adds an extra appeal. There’s a curved window above the tub, with a television right below it, making for the perfect setting. 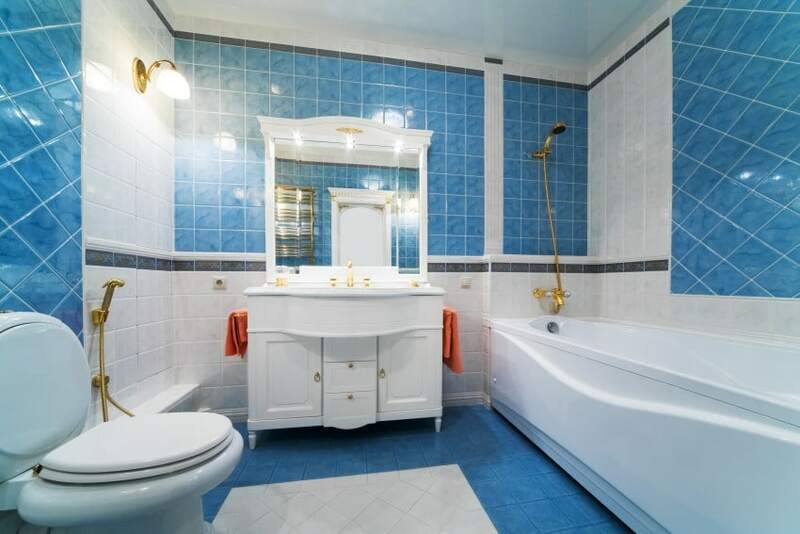 Any individual who loves the blue color is going to enjoy this bathroom. When you first walk into this bathroom, you’ll see blue floors and blue walls. The blue makes the white sink and tub stand out into a nice contrast. There is just the right amount of white and blue in this bathroom. Adding a touch of nature to any room makes for a relaxing atmosphere and that is exactly what it done in this bathroom. The edges of the tub are wide enough, making it perfect to not only to set a plant, but also a couple of aromatherapy candles. There are extra cabinets in this bathroom, so you have extra storage. With the marble floors and the stone walls, this bathroom looks amazing. The tub has a sliding glass door, so the water doesn’t splash on the outside. This is a modern, yet sleek bathroom. The large mirror on the wall makes it more appealing. Mirrors make small rooms have a larger appearance. 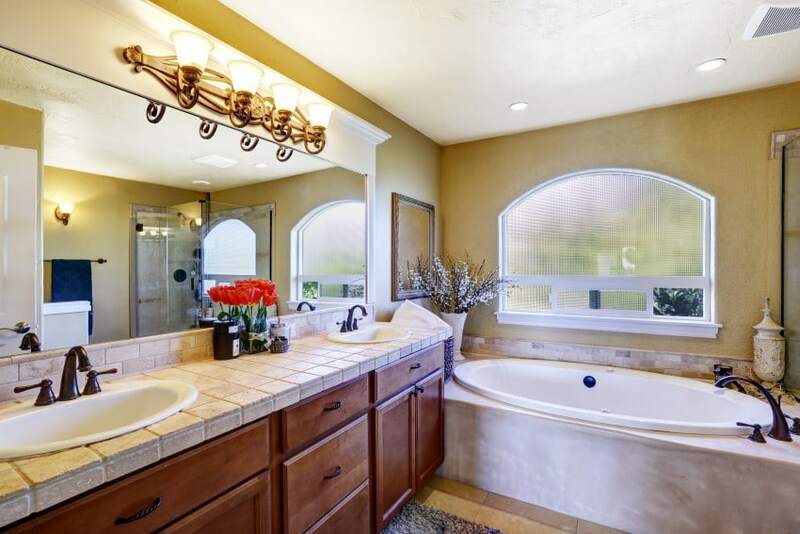 This luxurious bathroom contains amazing looking tile countertops, a circle tub and a curved window right above the tub. Everything from the floors to the faucets illustrate the classy appearance of this room. This is a unique, yet amazing, bathroom. 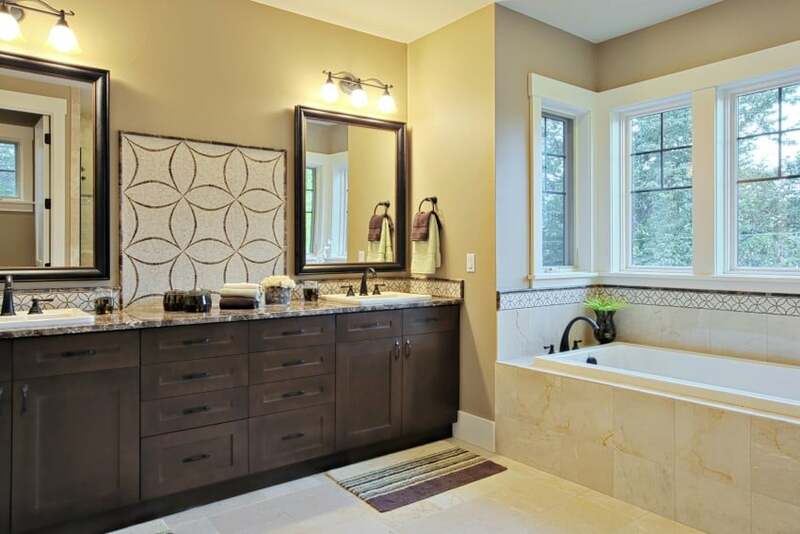 The centered tub with post accents adds an extra appeal. 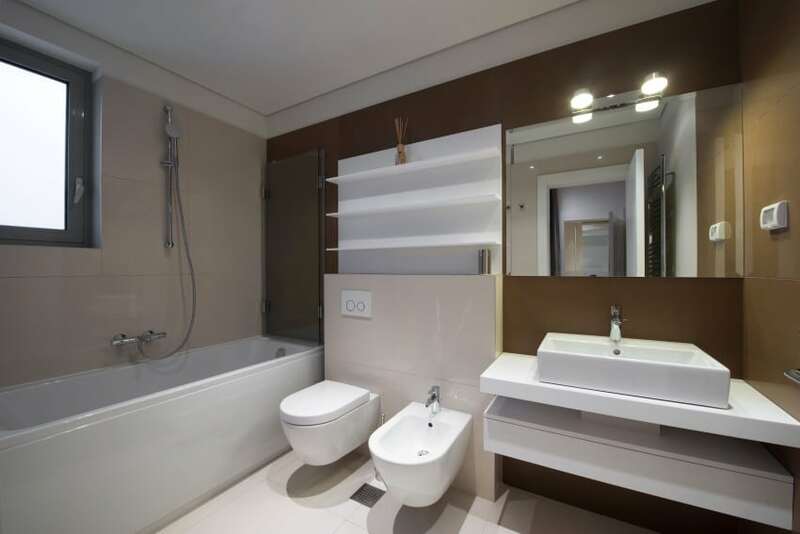 In this bathroom, you will find twin sinks on each side –looking at them, it appears as if you’re looking in a mirror. On the right side, you’ll find the toilet, while the walk in shower is located on the left side. The marble flooring and marble walls really make this bathroom stand out and give it a unique design style. The lighting above the tub makes for an amazing appearance. The bathroom is sleek and clean. The two windows beside the tub help separate the marble wall. This is a small, but nice bathroom. The tile wall trim separates the sand colored wall, making for a unique and stylish appearance. The round mirror sitting above the sink adds an extra appeal, while the identical shelves add extra style. 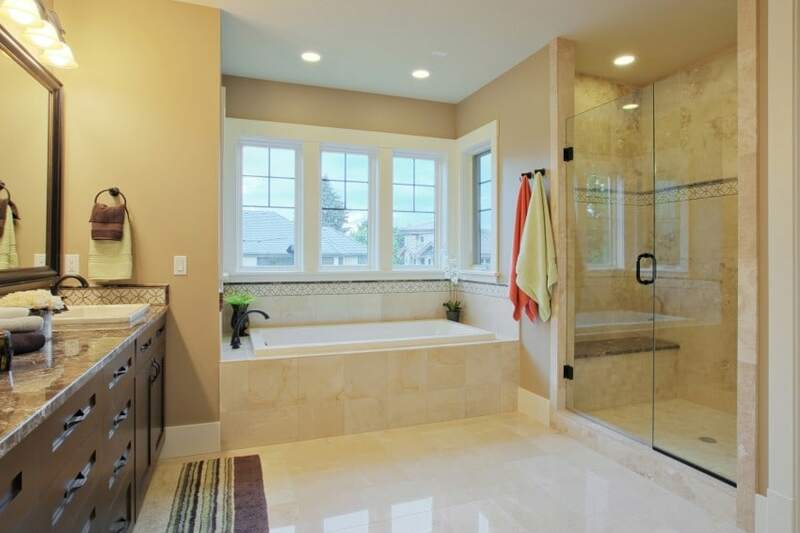 This is a modern looking bathroom with large windows for ample amount of lighting. The white mixed in with dark colors makes it have that sleek appearance. The square toilet makes the bathroom look unique. 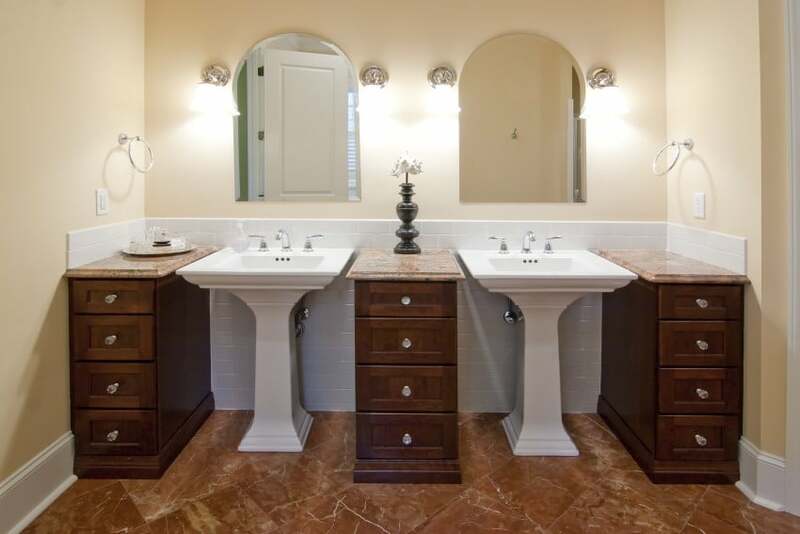 This bathroom contains double pedestal sinks with three cabinets, making for that unique look. The dark flooring makes the white pedestal sinks and light colored walls stand out. 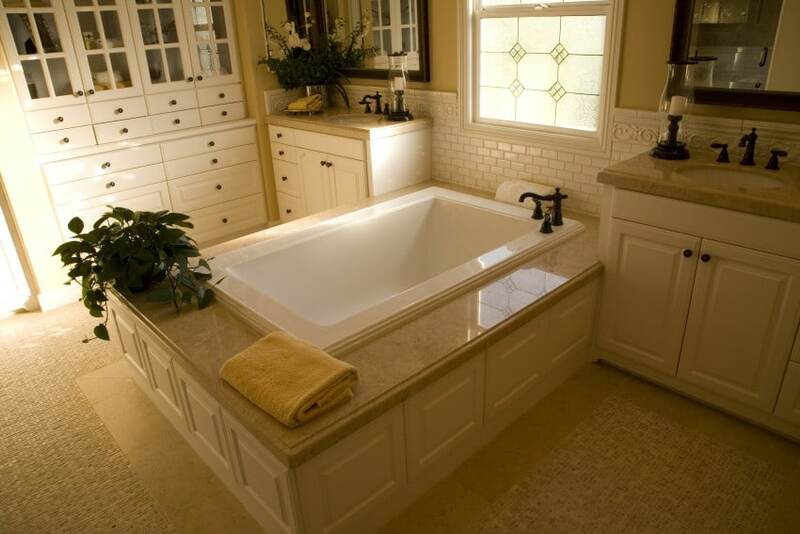 This is a perfect his and her bathroom, with identical sinks on each side. The big mirror makes the bathroom look larger than it is. The two red light fixtures add a touch of color to the room. This modern bathroom has something you don’t find easily anywhere else. It contains a unique toilet built into the wall with a round tub. 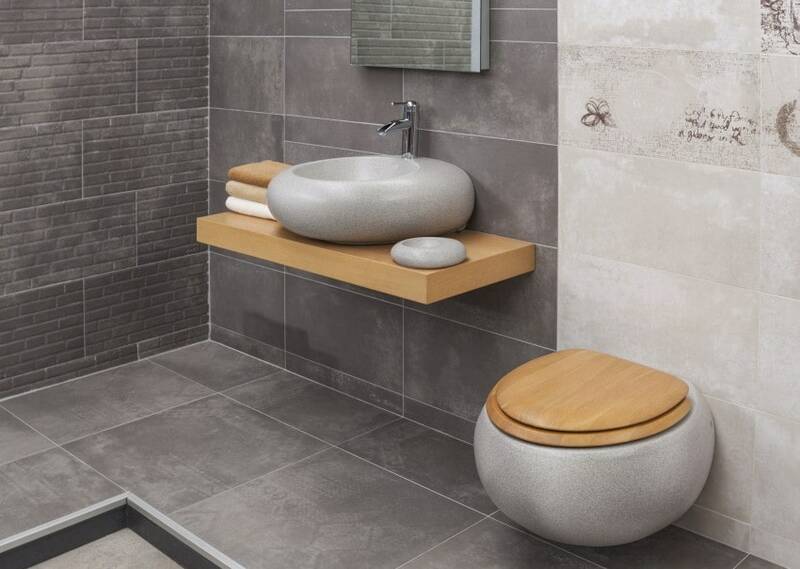 The floors and walls are grey, but that makes the wood colored countertop and toilet sink pop. The brick-looking tile on the side wall adds a nice appearance. This is an amazing looking bathroom to say the least. The shelf above the tub holding the plant adds the right touch of nature, while the round sink bowl stands out. 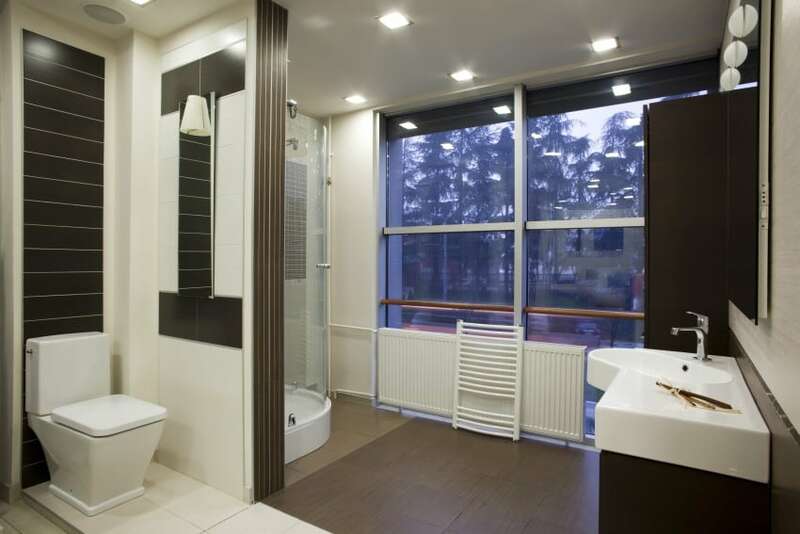 The bathroom contains two windows, adding the right touch of lighting. The red lights under the tub make the bathroom look “exotic”. 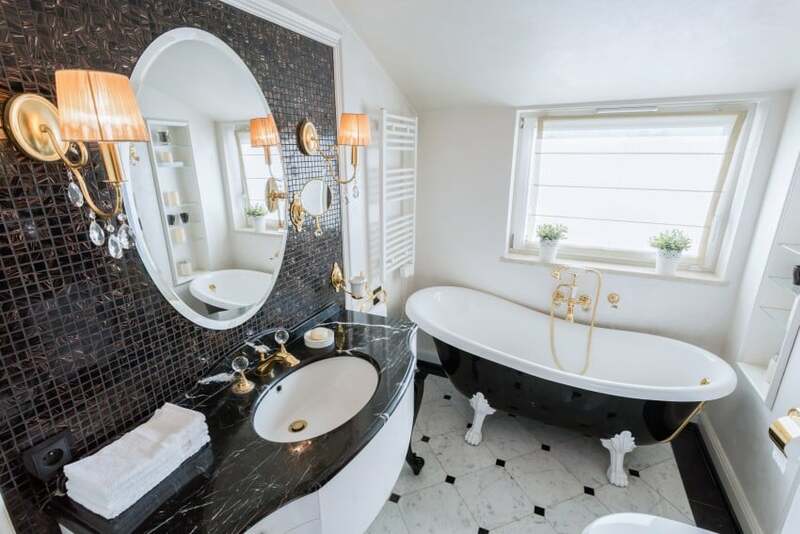 The atmosphere in this luxury bathroom is amazing – everything from the sinks to the tub has that clean look, making for the perfect place to relax. The lighting above the large rectangle mirror adds an extra unique touch. The two his and her sinks are spaced out just right, giving each other enough room. This bathroom not only has a toilet, it also has a bidet next to the toilet. The large mirror makes this small sized bathroom appear larger, while the white floors make a nice contrast to the dark wall. 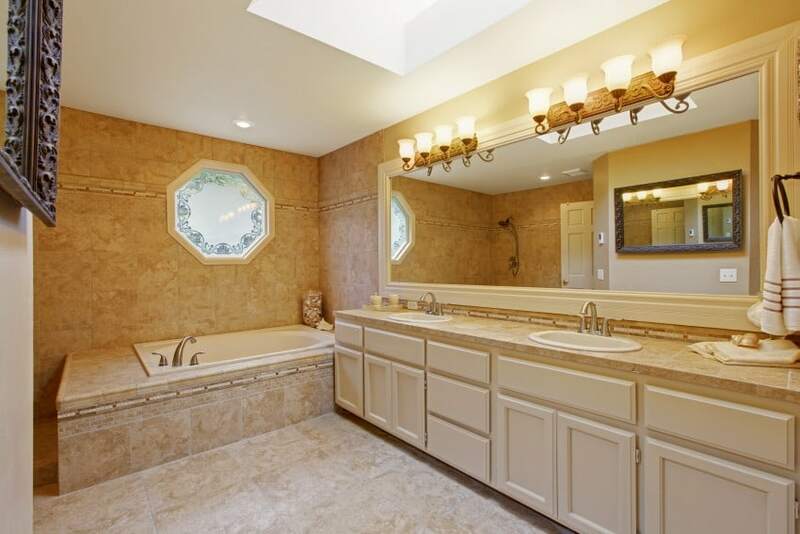 This is a modern bathroom that has a whole lot of windows that lets the sunlight flow in. This is a modern looking bathroom, but with the wood counters and wood flooring, it has the right amount of rustic design mixed in with a modern design. 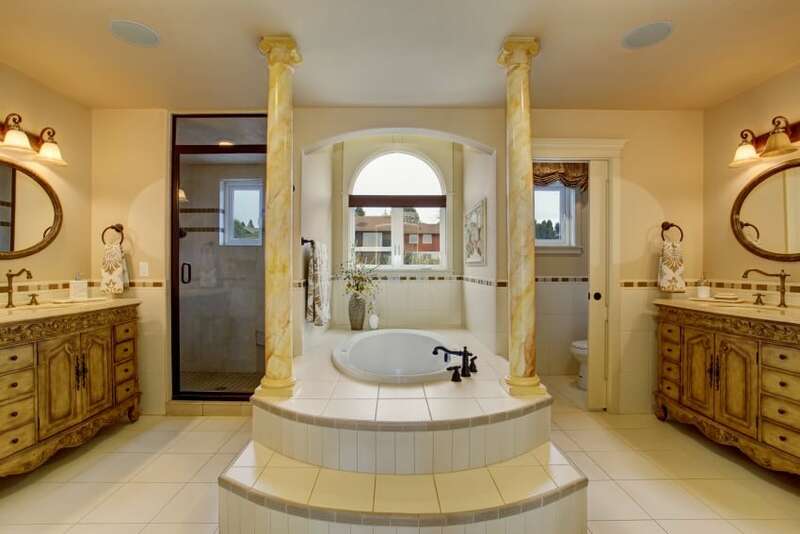 This baroque styled bathroom has been designed to create the right amount of drama. The artistic styled bathroom consists of a claw foot tub with marble countertops. The black tiled wall right above the sink makes the rest of the bathroom pop. This luxury bathroom is amazing. The window right above the tub lets in just the right amount of light while you’re relaxing, but the antique vanity is the best thing in this bathroom because it makes for a unique appearance. 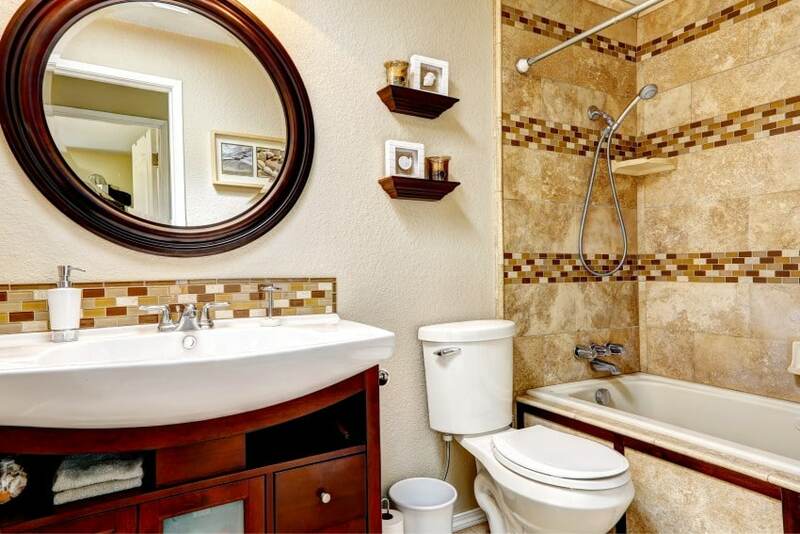 Everything from the sand colored walls to the sinks, windows and vanity is a must have. 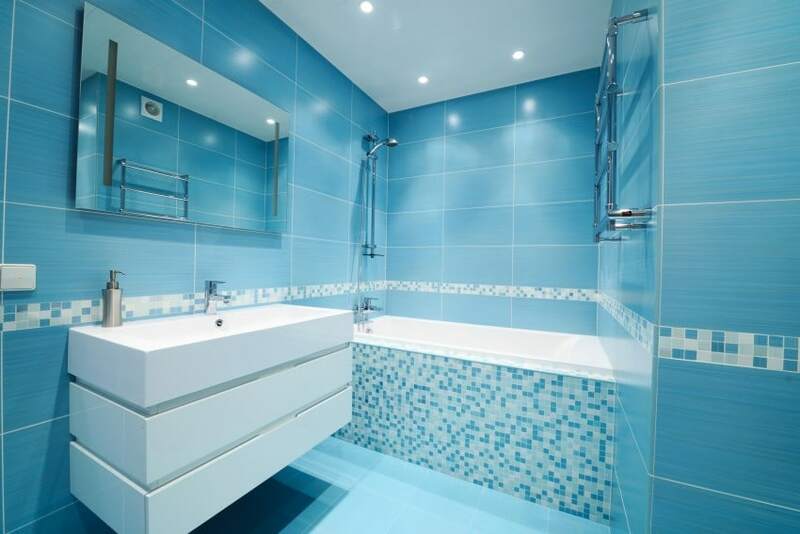 This is a modern bathroom with blue interior. The sink makes the entire bathroom look unique, while the tiling around the tub stands out from the rest of the walls. This is a small, yet relaxing bathroom that has just the right touches of color in it.